Now that you have had a chance to get a better idea of the Reverse for Purchase loan program, how does the process work? Here is a general outline. • Get educated and informed on HECM for Purchase from reputable lender and its representative. Discuss program in detail and review illustration regarding rates, costs, and estimated down payment. 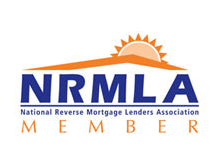 Make sure the lender is preferably a member of the National Reverse Mortgage Lenders Association (NRMLA) and its representative has earned the designation of Certified Reverse Mortgage Professional (CRMP). By the way, my broker company, Senior Funding Associates, and myself meet these guidelines. • Complete application upon accepted purchase contract. Issuance of certificate of occupancy on new construction is needed. • Upon receipt of fully executed purchase contract, counseling certificate and complete application, we can close on your new home purchase usually in 30 days or less although a 45 day escrow or sooner is requested. • We will keep you, your sales representative, seller and builder constantly updated throughout the entire process. • Move into your new home and enjoy it with the additional funds and cash flow that the FHA HECM for Purchase makes available and provides to homeowners.